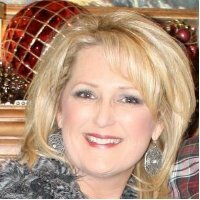 Interview with Janette VanMeter, Owner at Nations Crane Sales in Tulsa, U.S.
Today Cranesy interviews Janette VanMeter, Owner at Nations Crane Sales in Tulsa, U.S. Strong personality. Leadership. Tips how to manage crane business. Simple Women&Cranes. Cranesy: First of all I’d like to ask who you wanted to be? Janette VanMeter: I never considered who I wanted to be. My aspirations were centered around where I wanted to go and making the most of each step. C.: Your Background, your story, how did you join the company? J.: My father is a steel fabricator for the oil and gas industry and I grew up on the farm. Big equipment was used in both places. My husband of 22+ years has been in the crane business for more than 30 years. Started as an Operator, moved into Sales and Estimating with the largest crane company in our state. I spent 20+ years in banking underwriting business loans learning what makes a business successful. our ability to manage business and most of all Gods help we made the decision to start our own crane rental company. It has been successful and we have started Nations Crane Sales where we Broker Cranes and provide service for cranes. J.: I really like them and that was my husbands expertise. C.: What kind of specialized courses / studies / knowledge is needed for working in the crane sector? J.: I think it depends on what role you are in determines what knowledge you need. Estimators need to be good in math, computer skills and communicating with the customer. We provide lift plans with every critical lift. Operators are required to be NCCCO certified along with riggers and signalman. We have OHSA training with several designations. We are all about safety. As far as sales goes – I think you have to have integrity. There’s not much of it, but I think in the end your customers have to count on your words. Our Service Manager is a college graduate in mechanics on cranes. C.: Vantage points of female entrepreneurs? J.: I believe we bring more attention to detail along with an ability to multi-task. We are also better listeners. C.: What do you think about team work? J.: There’s no I in team work. We have no prima donnas. It takes everyone doing there part. Have to have a great team! C.: Should employer keep a distance or in reverse make friend with his staff? J.: We believe you can have a personal relationship and maintain respect for the positions. C.: To manage the business what does count more – university graduation or the character? J.: Definitely character. There are a lot of lazy dishonest college graduates out there. C.: Women are good at multitasking, how do you reconcile work and family? J.: I’m not so good at the balance thing but I’m working on it. My husband and I both work in the business so we never really leave it. Now our daughter is about to graduate college and she working in the business as well. C.: How much time do you spend in your office? J.: It just depends. I could easily spend 10+ hours a day however I have gotten pretty good at using technology so I work wherever I am. C.: Could you list of busness-mistakes of employers today? J.: I think one big one is not expecting “Excellence” in themselves or their employees. I think they accept being average. C.: Every person goes through some bad moment at least one time in a life. What helps to you in that moment? J.: Jesus. We are very strong Christians. We trust God has a plan for us. He won’t let us down. J.: Fulfilling Gods purpose in your life. It’s different for each person. J.: We are blessed to be a blessing. J.: BBQ. We grill steaks a lot!